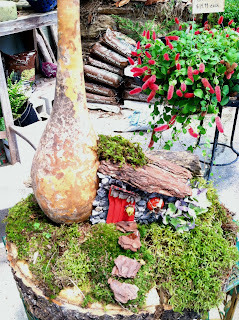 This house incorporates stone, bark, moss, a dried gourd, rose hips, seed pods, pine cone shingles, and some popsicle sticks. Autumn in the perfect time to create these houses as there is an abundance of leaves, seed pods, and other dried items to get creative with. 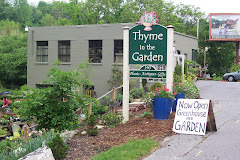 We'll start the class off with a scavenger hunt in the garden to collect objects to incorporate into our projects. Think about your house ahead of time and bring in things from home like small baskets or containers that could be used to make a fairy hut or even miniature tree house. 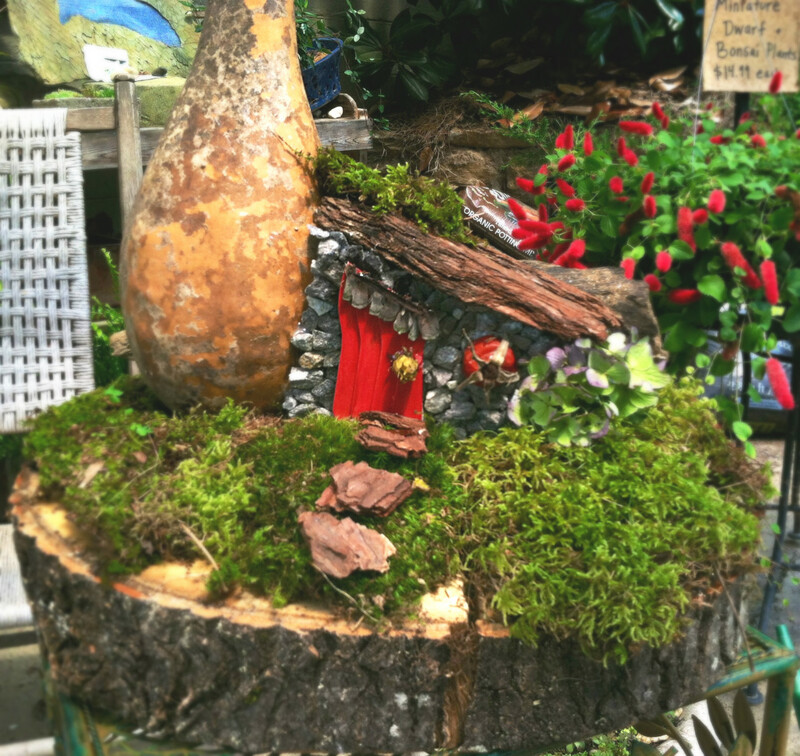 Fairy houses can be made for an indoor fairy garden, or to withstand the elements outside. 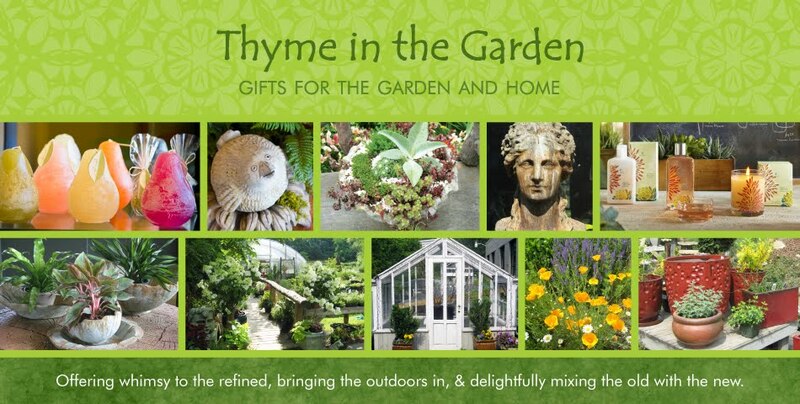 $20 Fee covers all materials and instruction, but participants are encouraged to bring in objects from home to incorporate into their house. 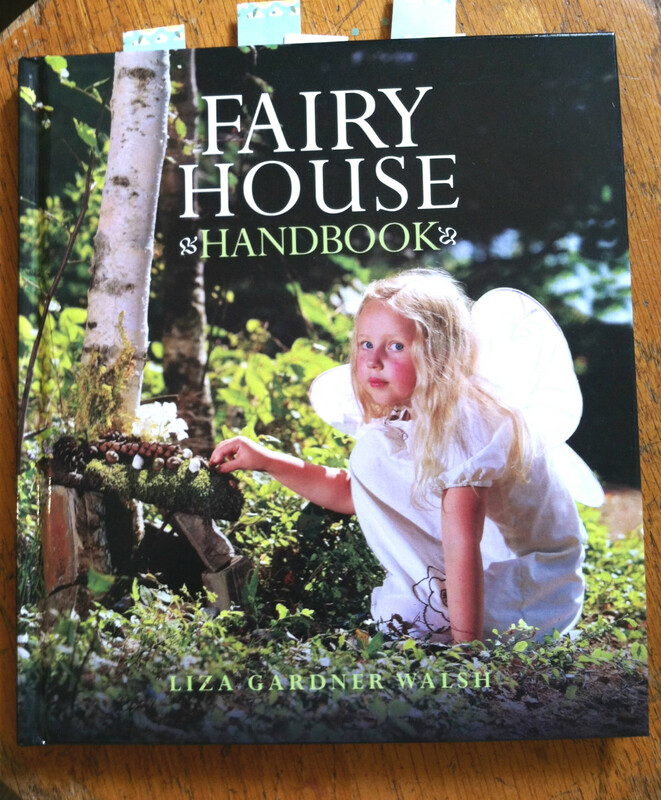 This book is available to help you gather ideas and will be available during the class. 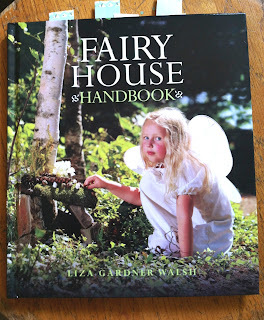 Here's some photos of what I collected before making my fairy house. 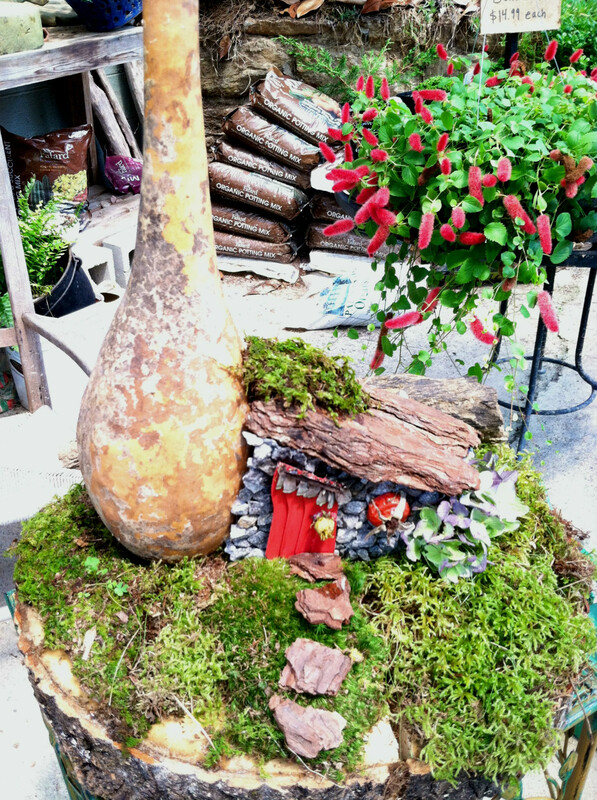 Check out Pinterest or Google to get ideas for your fairy house!